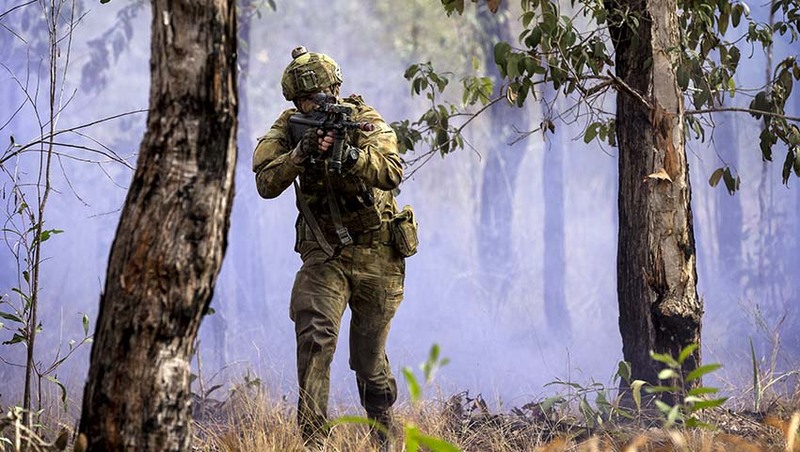 Central Queensland businesses will be boosted by $4 million being pumped into the local economy thanks to the expansion of the Shoalwater Bay Training Area (SWBTA) under the Australia-Singapore Military Training Initiative (ASMTI). The ASMTI is delivering enhanced training areas in central and north Queensland for the Australian Defence Force in order to strengthen "Australia’s bilateral defence relationship with Singapore and providing significant local economic opportunities". Managing contractor for the project, Laing O'Rourke, has met with Assistant Minister for Defence David Fawcett and federal member for Capricornia Michelle Landry, as well as local engineering and design businesses working to deliver "key aspects" of the SWBTA expansion, which is anticipated to bring up to $4 million to the local economy. “Defence is committed to providing economic benefits and opportunities for local industry across the life of the ASMTI,” Senator Fawcett said. Senator Fawcett also confirmed more industry engagements would come in the following months. “Laing O’Rourke’s Local Industry Capability Plan and commitment to targeting work from the central Queensland region means local industry can make the most of these opportunities, leading to more local investment and industry support as the initiative progresses,” he said. Upon maturation of the ASMTI, up to 14,000 Singapore Armed Forces personnel will conduct training in central and north Queensland over 18 weeks a year for 25 years.